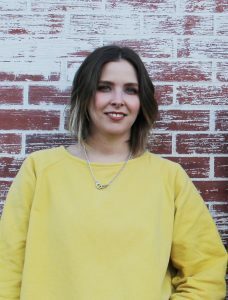 The School of Information Management is pleased to announce that Master of Library and Information Studies student, Rachel Fry, has been selected as the sixth recipient of the Dalhousie-Horrocks National Leadership Fund. This Fund was established in 2007 to honour Dr. Norman Horrocks, OC, PhD, FCLIP (1927-2010) for his outstanding leadership in the field of librarianship in North America, Australia, and Europe. Over several decades Dr. Horrocks, former Director of the School of Information Management and Dean of the Faculty of Management at Dalhousie University, pursued a distinguished career of very active involvement in professional associations in the United Kingdom, Cyprus, Australia, the United States, and Canada. His many contributions, for which he received local, national and international recognition, have advanced the field and the careers of countless individuals. The fund supports a scholarship and an associated lecture series through an endowment donated by the many former students, colleagues, friends and admirers of Norman Horrocks. Rachel Fry is a second year Master of Library and Information Studies student originally from Janetville, Ontario. Rachel grew up on her family’s cattle farm, and her interest in libraries was sparked at the age of fourteen when she began her first job at her local public library. Rachel attended Trent University and graduated on the President’s Honour Roll as a joint major in Sociology and Gender and Women’s Studies. After graduating, she relocated to Halifax to pursue her Master of Arts in Women and Gender Studies at Saint Mary’s University. Her thesis, called “Craftivism: The role of feminism in craft activism,” focused on how themes of activism are represented in modern craft. While at SMU, she received a Social Science and Humanities Research Council Scholarship, a Faculty of Graduate Studies and Research Fellowship, as well as a Faculty of Graduate Studies and Research Award. In 2014, Rachel began working for Halifax Public Libraries where she has filled a variety of roles. Currently, Rachel works as a Circulation Lead Hand at Halifax Central Library, and holds a position as a Library Assistant 3 at Alderney Gate Library from which she is currently on educational leave. She also acts as a Student Assistant for the School of Information Management. Rachel has a passion for learning and a wide variety of interests including public and academic librarianship, special librarianship and records management. Outside of work and academics, Rachel has a passion for music, animals, and loves living close to the ocean.